Dogeared Jewels have been hand crafted in California for over 20 years. The style is modern and versatile, inspired by California’s free spirited, natural beauty. Dogeared creates jewels filled with love and inspirational messages of good karma! The brand embodies the ultimate California lifestyle, and each piece is hand crafted with love in the U.S.A.! CHART metalworks is the creation of a long time sailor, with a nautical Maine background. In 2008 CHART metalworks was formally launched handcrafting custom nautical chart and map adornments allowing you to capture your most treasured spots across the globe. 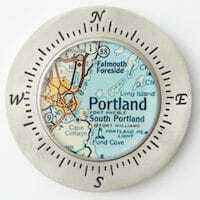 CHART metalworks is the original custom nautical chart and map jewelry. 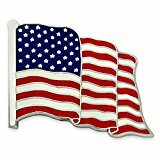 We hire US Veterans to make all of our Handmade Paracord products. Not only do we want to provide training and skills, we also work towards creating a safe and stable environment where our Veterans can feel at home and be around other Veterans who have had similar experiences in the Military and may suffer from similar conditions such as PTSD & TBI which affect so many who have served. If you make or sell jewelry, earrings, necklaces, bracelets, or rings and would like us to feature your business on this page, fill out our application and a MAM rep will respond within 48hrs.